Images of the female reproductive caste. 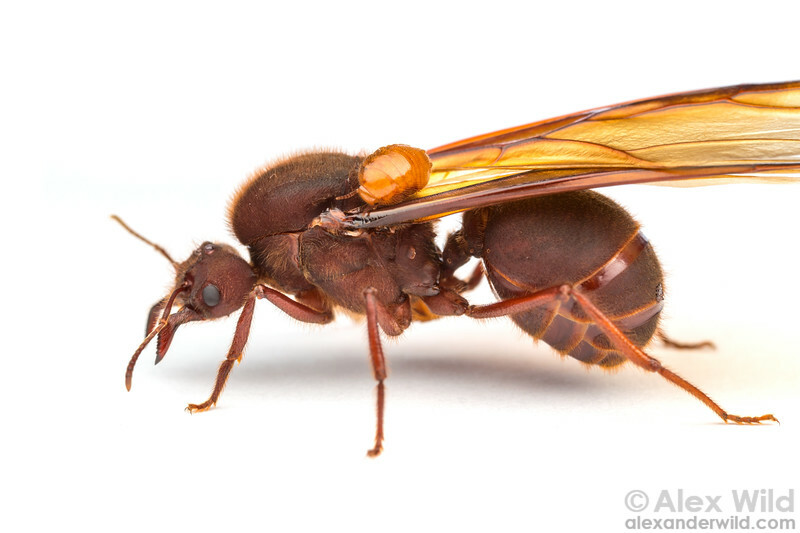 A tiny ant cockroach, Attaphila fungicola, hitches a ride aboard a winged queen. Austin, Texas, USA.